Print out and use this to help you plan for the upcoming year. By the end of the year everything should be checked. PLAN next year's program to enhance college admissions prospects. STAY INVOLVED in extracurricular activities. REGISTER for SAT and/or achievement tests. CONTACT military academies to open a pre-candidate file if interested. USE THE COMPUTER SEARCH programs to identify appropriate colleges. SPEND TIME in the guidance office exploring college materials. ASK counselor about summer enrichment programs. CONSIDER asking a teacher for a recommendation. Provide them with an updated resume. VISIT college campuses during spring break. MAKE an appointment with my counselor for me and my parents to discuss college plans. REGISTER for SAT's and/or achievement tests. VOLUNTEER for some community service. CONTINUE with good study and work habits. STAY involved in extracurricular activities. Work toward leadership positions. TALK to admission representatives who visit my school. Attend college fairs. ATTEND college programs sponsored by the guidance department. FOLLOW through with my senior guidance counselor. SEARCH for scholarship information continually. Most information arrives in March. REGISTER for November/December SAT and achievement tests. FILL out applications by December 1st if possible. SEEK letters of recommendation if needed. Give teachers sufficient notice. 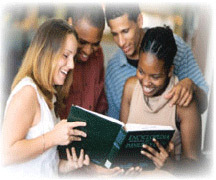 COMPLETE appropiate financial aid forms. NOTIFY the colleges I am not planning to attend. REQUEST a final transcript to be sent to the college I will be attending in the fall.